Here is a wedding card in beige and purple, made from the My Precious Daughter collection. 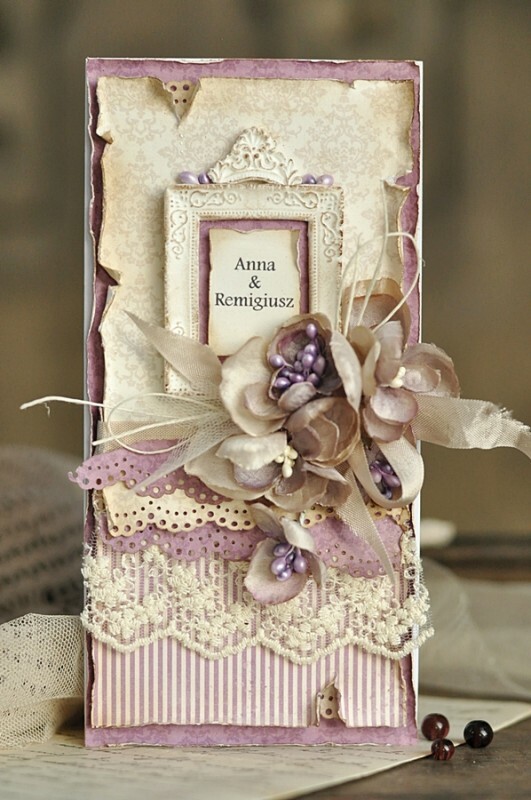 Sooooooo beautiful card here, and I love this combination here too. A wonderful lay pout too and the perfect papers for a weddingcard, I think, soooooooooo beautiful.